A blend of classic old-world decor, sweeping views of the Mississippi river, great cocktails and delightful New Orleans cuisine make this hotel an ideal hub for exploring the Big Easy. 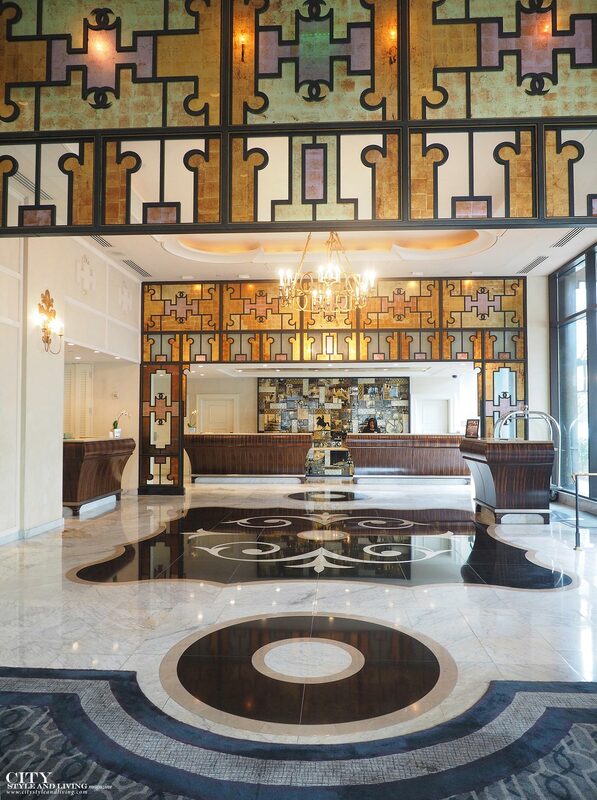 Enter the modern art deco lobby of the hotel and a jigsaw stained glass archway and polished marble floor leads to the showpiece – a collage of photographs in desaturated tones illustrating historic people, places and events in New Orleans. History runs deep in the city of Saints, and the palpable energy also courses through the hotel located on Poydras street. 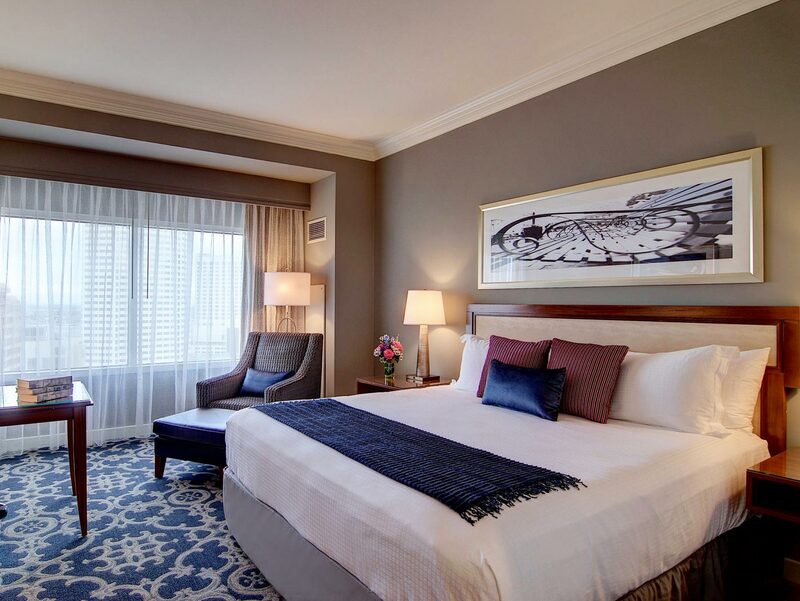 A luxurious yet approachable atmosphere pervades the hotel and its 285 newly renovated guestrooms, and 12 suites, amongst the largest in the city, with luxe amenities like Frette sheets and Chadsworth & Haig robes. My grand river view room, looks onto the Mississippi, as steamboats and cargo ships float by. The crescent city itself is the inspiration behind much of the décor from Garden District wrought-iron fences artfully woven into plush carpets to photos of the city in hues of grey, and blue hanging on walls. 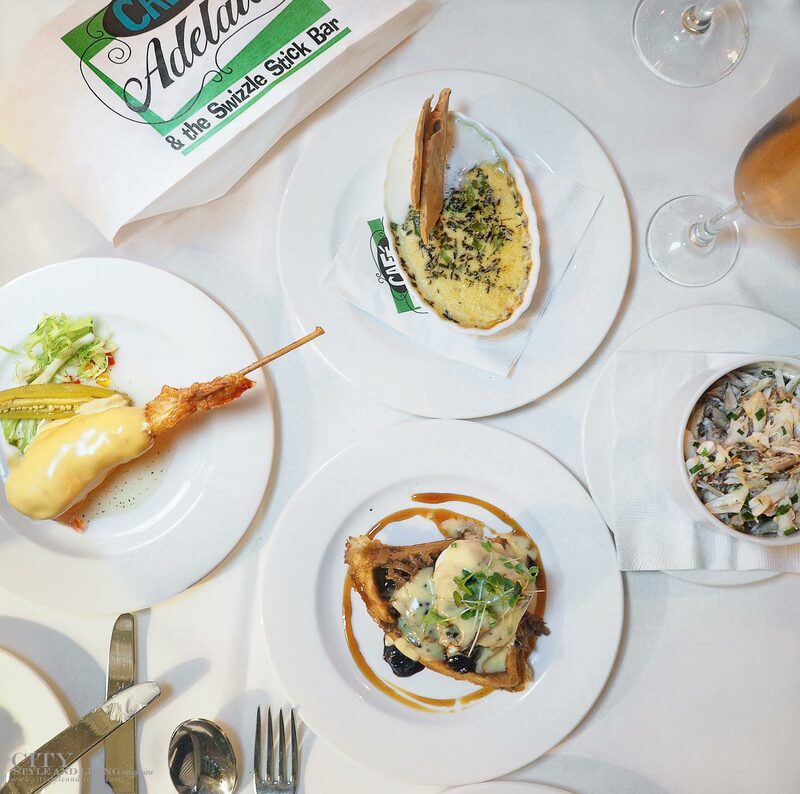 Café Adelaide, part of the Commander’s Palace Family of Restaurants, is inspired by the late Adelaide Brennan, part of the illustrious family that has been at the forefront of New Orleans cuisine for decades. 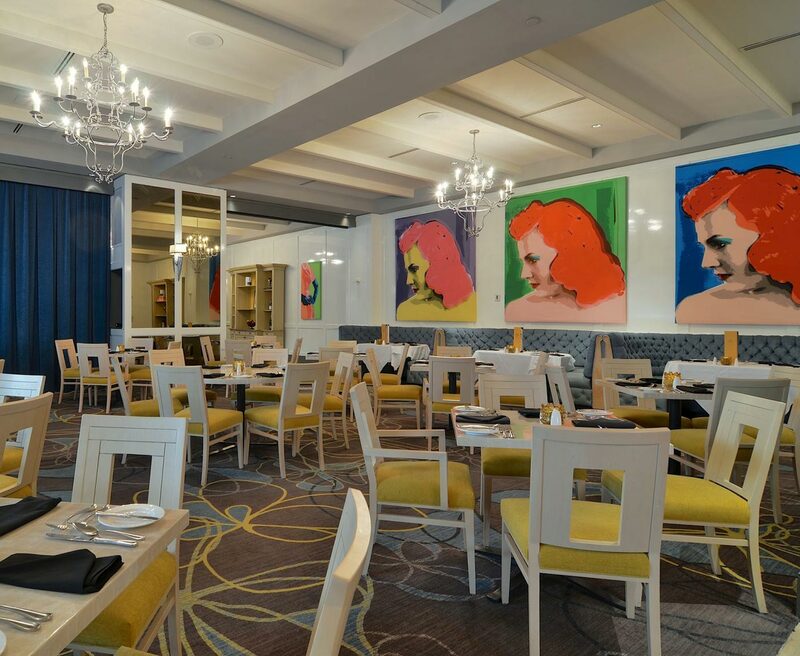 Famous for being sophisticated and elegant as well as carefree and mischievous, Brennan’s spirit is captured in quirky furnishings, Warhol-style photographs, blue pin tucked banquettes and yellow cushions on chairs. Chef Meg Bickford focuses on playful Creole fare, like the breakfast for dinner menu. I enjoyed a rich foie gras and butternut squash spice roll; ultra-indulgent waffle “nest”- a soft poached egg nestled in tender braised duck, warm allspice-blueberry waffle with whiskey spiked sugarcane syrup and Grand Mariner duck jus poured over the entire dish. Other standouts include the shrimp and tasso corndogs and blue crab pot de crème. For dessert, the brandy milk punch and white chocolate biscuit pudding are divine. Order an Ella’s Old-Fashioned (made with Dewars whisky instead of bourbon) at Swizzle Stick Bar, a favourite of the grand dame of New Orleans restaurants (and Adelaide’s sister), Ella Brennan. Plus, some of the best beignets are found right here at the hotel for breakfast. Loews New Orleans Hotel, 300 Poydras St.
Impeccable gardens and Antebellum mansions pervade this district, along Charles Avenue to Magazine Street and from Jackson Avenue to Louisiana Avenue. Live oak trees line streets, just steps from Tulane and Loyola universities. Visit these live music venues to listen to legendary artists as well as new acts. Operating since 1880, this legendary restaurant serves classic New Orleans fare. This original travel article first appeared in the Spring 2017 issue of City Style and Living Magazine.